What do you think, what the city is depicted on the photo? Maybe it is the one of the main business districts of New York City? Or perhaps it is the central part of Moscow, Bangkok or Tokyo? Oh no, it’s not. 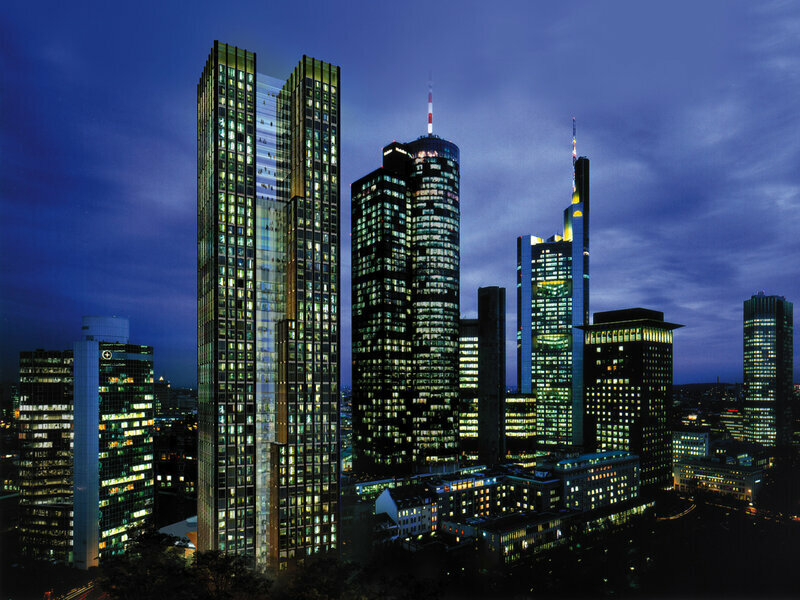 It is the one of the most unique districts of Frankfurt – Banking district. This area is famous with its unusual architecture of buildings: all streets is built up with stunning skyscrapers, plowing the heavens. And despite that all the buildings is occupied by banks and business centers, tourists are allowed to go inside, inspect them, and even dine at one of the restaurants, located on the upper floors. Truly grandiose, unique in its kind botanical garden, on the territory of which creators managed to recreate all the eco-systems of the planet! 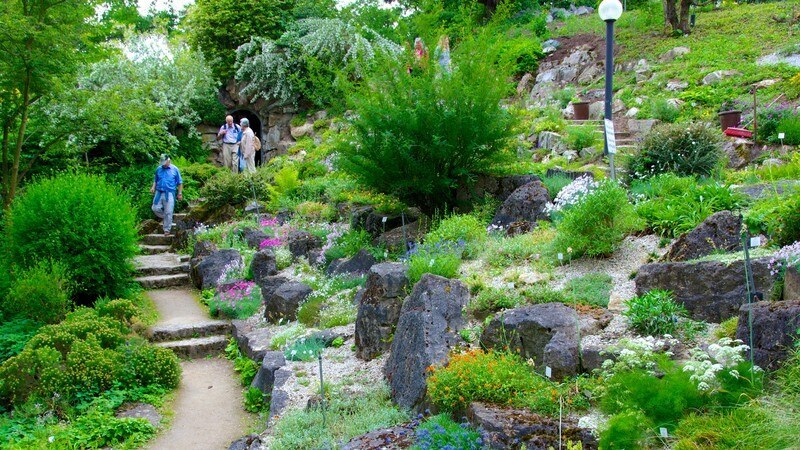 On the 22-hectare Palmengarten – as park was originally called – visitors will be able to see the hot desert, lush jungle and green forests with tall trees and lush bushes – you can spend really much time wandering through the picturesque meadows and glades. Dozens of variety plants and fruits complexes, butterfly pavilions, greenhouses with flowers and stores with saplings await guests in Frankfurt Palms Garden. 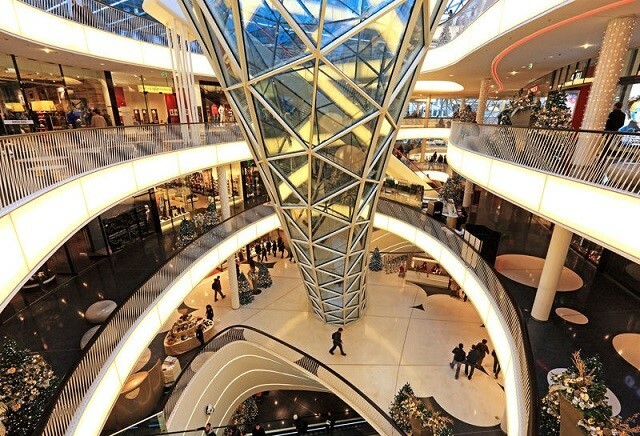 Another great work of human hands – a huge shopping mall My Zeil – looks like a futuristic spaceport or art center and impresses with its style and sophistication. Multi-storey giant takes more than 50 thousand square meters and offers to plunge into the world of shopping and entertainments. Hundreds of fashionable shops and boutiques, cafes and restaurants attract with bright showcases and amazes with variety of goods and delicatessens. Be careful, in My Zeil you can lose a track of time!